The 32-year wait to coax Todd Rundgren’s Utopia back into touring America may have felt like forever, but it’s finally over and on its way to visiting the iconic Chicago Theatre. Not only will faithful score two comprehensive sets classified by cerebral progressive rock selections and straight-up power pop, but this particular stop will also be recorded, giving locals the chance to be a part of history, especially if this turns out to be the last time Rundgren (guitar, vocals), Kasim Sulton (bass, vocals), Willie Wilcox (drums, vocals), along with brand new recruit Gil Assayas (keyboards) ever take the stage together. 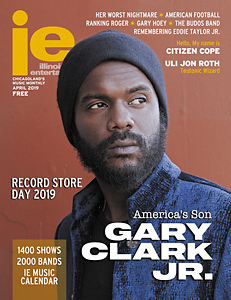 The fearless leader of the continuously-evolving collective just reconnected with IE to give his perspective on all aspects of the undertaking, including the snags, satisfaction and current feelings when it comes to future prospects. Illinois Entertainer: What were your expectations before the tour began? 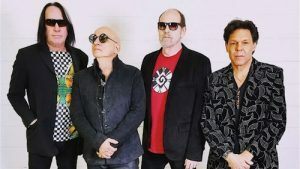 Todd Rundgren: Well, whatever expectations I might have had (laughs) kind of got dashed when we discovered that [keyboardist] Ralph Schuckett wouldn’t be able to make the tour, so we imagined a certain kind of a line-up and suddenly we had to rethink it. Fortunately, in the end, it wasn’t that disruptive, but the unexpected change in the line-up was a surprise (laughs). I think when we came into rehearsals, there was a certain degree of apprehension, though that was quickly put to bed once we all started to play together. Ultimately, what I wanted out of it was for us to be able to have enough time both in terms of rehearsal and time on the road to really try and regain some of the energy and the tightness that the band used to have by the time it had broken up. And the biggest challenge therein was the fact that we’re not doing simply one record, we’re doing the entire recorded history of the band in a two-and-a-half-hour show. My expectations were never as important as the expectations of the audience. IE: Now that it’s officially up and running, how would you gauge the audience’s reactions? TR: The audiences seem to be enjoying themselves and that’s obviously the most important aspect of it. I don’t know if the audience is as aware of where the band is at in terms of its playing from night to night, but we have gone through an evolution as well. I think during the earlier gigs, most of us were just listening to ourselves play because it’s so complicated and there’s so much of it to remember. Now that we’ve had a few weeks, we’re starting to listen to each other and we’re starting to play more like a band, more like we used to I guess. It makes it more gratifying once you’ve gotten past those first couple of gigs and start to feel confidence in what you’re playing. IE: Do you have anything special in store for the Chicago Theatre? TR: It will be different than the normal show because we’re going to be shooting video for that show, ultimately for digital release, so there will be cameras swinging around over the audience that wouldn’t normally be there, but otherwise it’s pretty much the same show [wherever]. Essentially we start at the very beginning. The first half of the show is focused more on the early days and the prog rock days you could say. Then the second half of the show is more the latter material when we were a quartet and did sort of an alt-pop thing that was much more song-oriented than playing-oriented. So the first half of the show, there’s lots and lots of playing. The second half of the show is a little bit more crisp with a “one song after the other” sort of thing. IE: Is there any significance to this being Utopia’s first tour of America in 32 years, such as a specific anniversary, or is it just how the timing fell? TR: This is something the fans have been beseeching us for years over and we had considered it a few times in the past, but there were always some obstacles. Some of it was the realization that once we had broken the band up, some of the guys got involved in vocations, so readjusting to that was always going to be an issue. That would always have been something as well because both [final keyboardist] Roger [Powell] and Willie had gigs and we’d have to synchronize their sabbaticals. We got to the point where we realized Roger just did not have the desire to do it any longer, so that kind put the kibosh on it for a while. Then we realized [prior keyboardist] Ralph was available to do it, but Ralph had some unexpected health issues, so we started to feel like it was Spinal Tap trying to find a drummer and thought maybe the fates have aligned against us. Somehow we managed to get all of those details aligned and to get some sort of positive feedback from promoters and such about the potential of the tour. When that all came together, we finally undertook it, but it had nothing to do with any particular date or anything like that. We just happened to get all those ducks in a row. IE: Over all those years when the group was inactive, how often did fans and industry folks bring up the band? What were some of the most frequent comments you heard? TR: The industry itself moves on, it’s the fans who harbor these fond memories of the first time they saw a particular musical act. I guess one of the largest challenges was to be able to put together a show now that had the same kind of production values that we strove for in the early days because that’s what a lot of people remember. They remember the big sets- pyramids, special effects and things like that. While we haven’t built anything custom because we won’t be out on the road that long, we did put together something that is redolent of those kind of more spectacular moments back in the ‘70s. IE: This current chapter seems somewhat open ended in the sense that it could continue or be a one-off. Has getting some dates under your belt given you any more clarity as to the next step? TR: We decided that the wisest thing to do is play to the end of the tour and then make a clear-eyed assessment of what we’ve accomplished before we plan to do anything else. In some ways the situation goes back to the way it was. Everyone does what they were doing. I’ll go back to touring my own shows. Willie will go back to working in Las Vegas at the game machine company. Kasim will likely continue to play with me. Gil is a young guy. He’s got a whole career ahead of him at this point and I think his involvement in the band has probably helped him and given him maybe some enthusiasm to create more of his own stuff. There is no prediction now about what’s going to happen in the future. We’re going to see whether it was worth all the effort we’ve been through in the first place after we’re done and then we’ll make that decision… There’s been no talk of making a record. That’s a whole other ball of wax because if you’re gonna make a record, you’ve got to seriously promote it and right now we haven’t even discussed anything in terms of new music. So while I am not discounting it all together, I’m just saying there is no plan for that. Todd Rundgren’s Utopia appears at the Chicago Theatre (TheChicagoTheatre.com) on Tuesday, May 22.